Sak ‘n Pak Luxury Guest House is situated in the town of Ballito on the Dolphin Coast of KwaZulu Natal South Africa. This five star guest house boasts a total of eight exclusively designed and decorated units, two of which are elegant executive suites. Our luxurious suites offers spacious rooms with each room boasting it’s own balcony facing either the beautifully landscaped gardens or the enticing swimming pool. Sak ‘n Pak luxury guest house has a fully licensed cocktail bar and elegant lounge where our guests can relax. This provides a quiet and charming getaway from the normal hustle and bustle of city life. Join us for our inspired menu of local South African fare in the dining room serving breakfast, lunch or that long overdue romantic dinner for two. Soaking up the sun and lazing at the pool or jacuzzi. Guests are welcome to use the braai facilities (braai packs are available on request). Sak ‘n Pak Luxury Guesthouse offers conference facilities for up to 24 delegates. Shared lounge/TV area with selected DSTV bouquet. No need to bring your own, we have you covered. All bathrooms are fitted with plugs for shavers. Rooms have built in air conditioning. Each room has its own safety deposit box with code. Rooms have fully stocked mini bars. 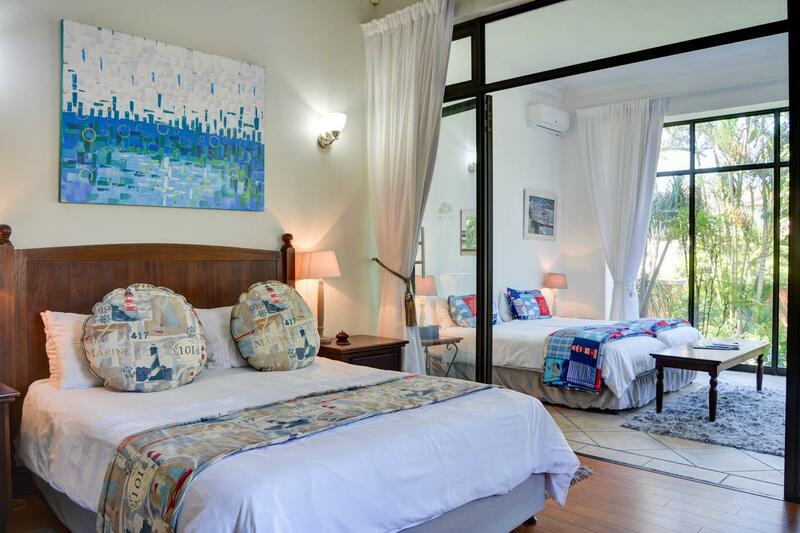 Set in Ballito, Sak ‘n Pak Luxury Guest House boasts with a total of eight exclusively designed and decorated units, with one elegant executive suite and one family suite. 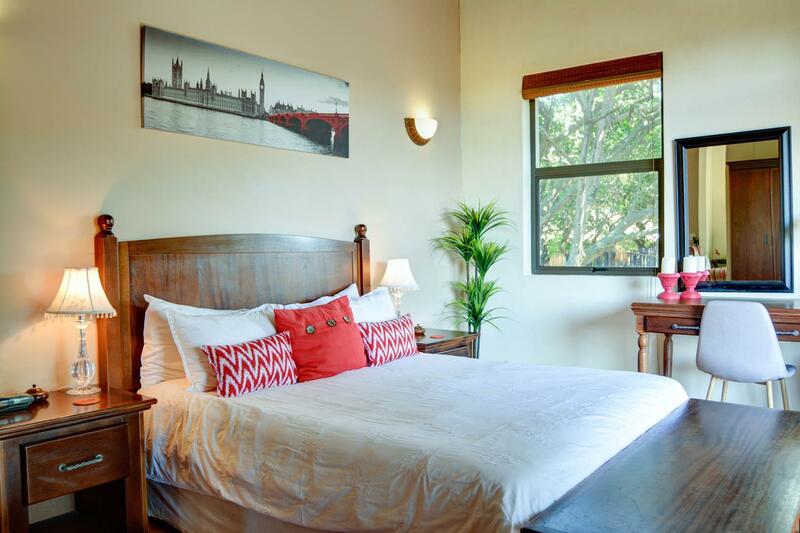 These luxurious rooms all comprise of en-suite bathrooms with standard amenities. 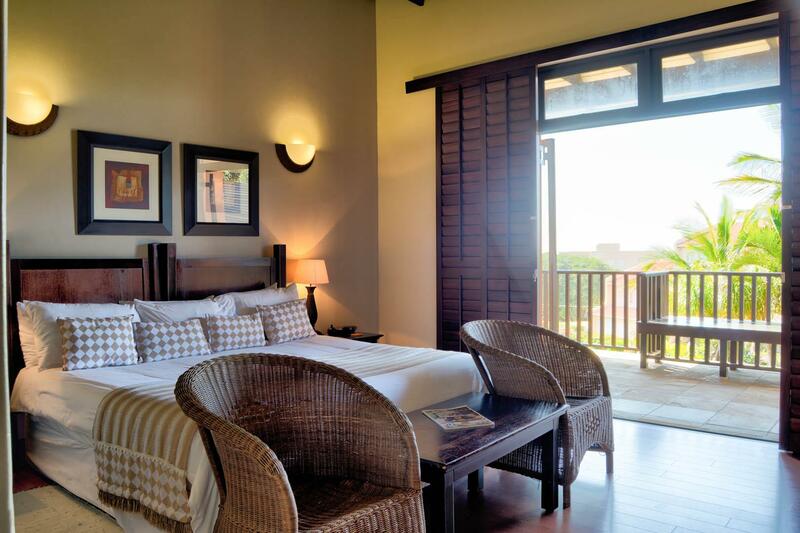 Each room has its own balcony facing either the beautifully landscaped gardens or the enticing swimming pool. The property is also only 4 minutes walk from Ballito beach. Children of all ages are welcome subject to availability of the family room. Tariff (Subject to alteration without notice) Valid until 10 Dec 2018. *View our reservation terms and conditions. Make a reservation instantly online. Book your stay at our luxurious Sak ‘n Pak 5 star guest house in Ballito. We’d like to hear from you. Please fill in your details below and send us your question, query or feedback, and we’ll get back to you! Ballito is a small coastal town located on the Dolphin Coast, one of South Africa’s most beautiful and popular holiday destinations. Only a 30 minute drive by car from Durban, the area offers a relaxing “small coastal village” holiday atmosphere, yet with the necessary infrastructure such as schools, hospitals ,shopping malls, various small business and entertainment. It is only 25 minutes by car from Durban’s King Shaka International Airport (get directions) allowing for quick fly-in weekends. I stayed one night at the guesthouse in the Deluxe Queen Room (8). Wow! The room was a suite, with a separate lounge and kitchenette area and the most spacious, spotless en suite bathroom. We arrived here from Zulu land and it was raining. We were planning to spend 4 days by the ocean, managed 1.5. We had a warm welcome from Hettie in Reception and was shown to our room. 2018 Copyright. Sak 'n Pak Luxury Five Star Guest House , Ballito, South Africa. All rights reserved.